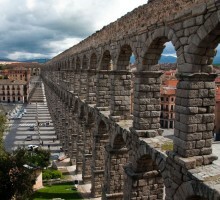 Segovia: The example of Roman engineering in Spain. 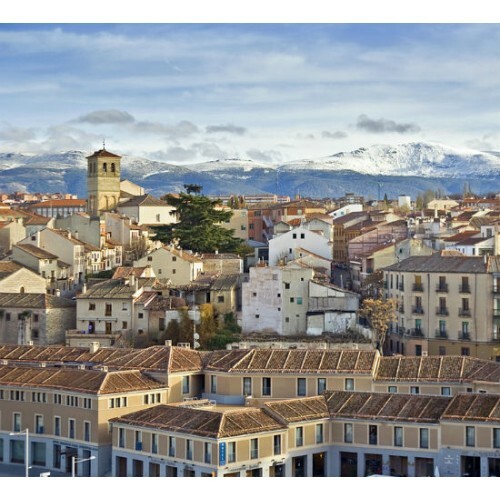 Activity: all-day excursion to visit the city of Segovia. 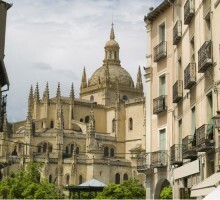 Services: private vehicle with driver and Official Tourism Guide. Departure: Date to be chosen by the customer. Time: To be chosen by the customer. Start Location: To be chosen by the customer (hotel accommodation ...). Conditions: Book at least 24 h. advance. Languages​​: Spanish and English. 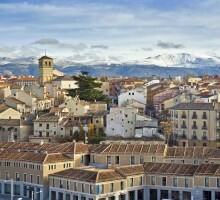 Segovia is defined by its Roman and Medieval monuments and for its outstanding food. 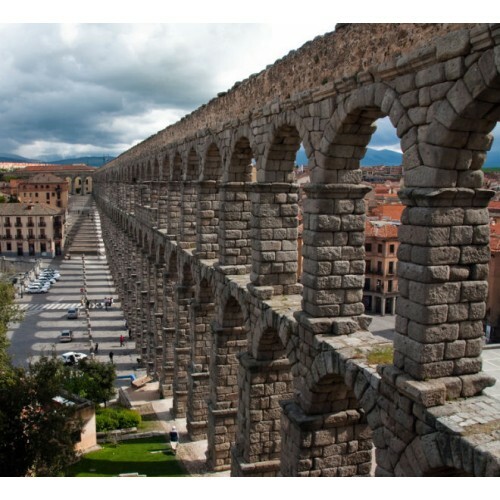 Known primarily for his ROMAN AQUEDUCT, one of the ROMAN ENGINEERING WORKS most perfect and best preserved in the world, and for its typical CUISINE based on roast pork and lamb, Segovia has one of the most notable medieval sets oh Spain, The most highlight are: the ALCÁZAR notably the one of the most typical Spanish castles and the CATHEDRAL. 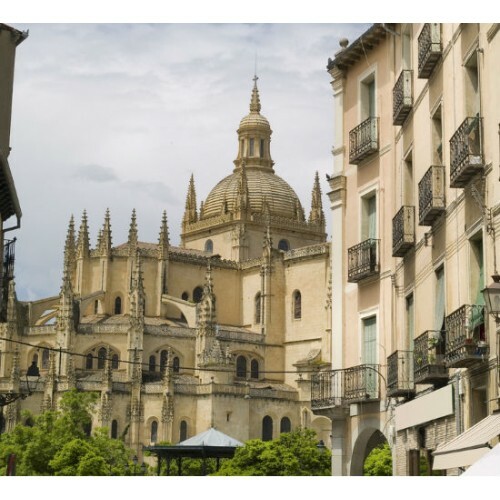 A car with private driver and Official Tourism Guide will pick you up at the hotel to take you to this quaint town in an 8 hours tour.